"I loved staying at Hotel Donauwaltzer!" 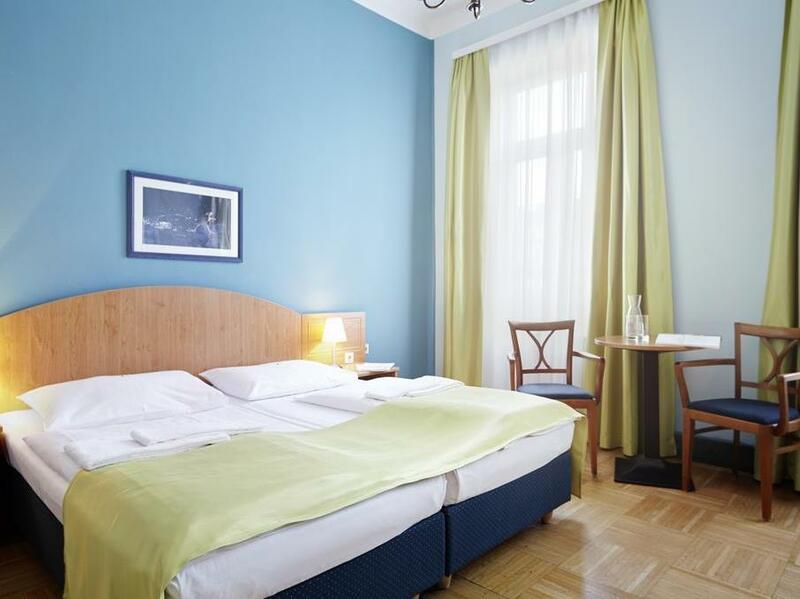 Have a question for Boutique Hotel Donauwalzer? "The stay was good and the staff were extremely kind and friendly"
"Definitely recommended, would visit again." 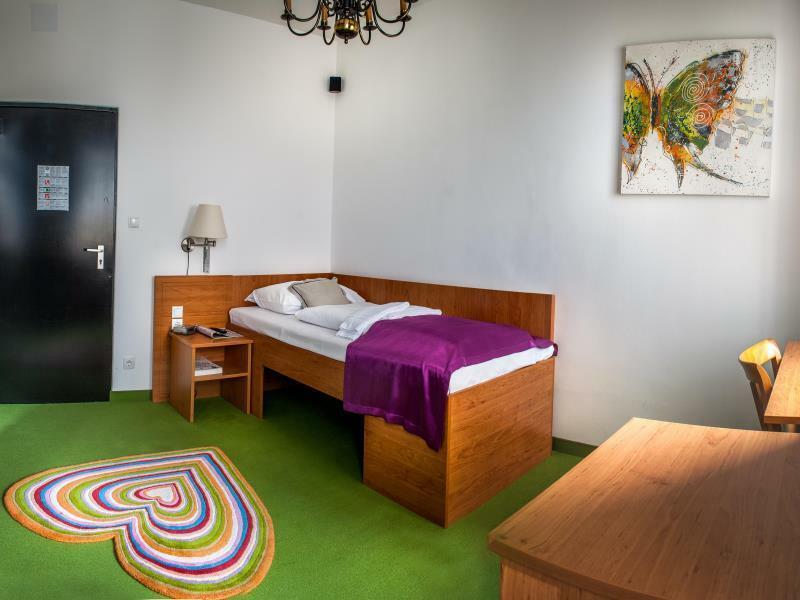 The family run Boutique Hotel Donauwalzer occupies a fine example of an Austrian art nouveau building dating from 1901 and retains its original character and traditional ways. 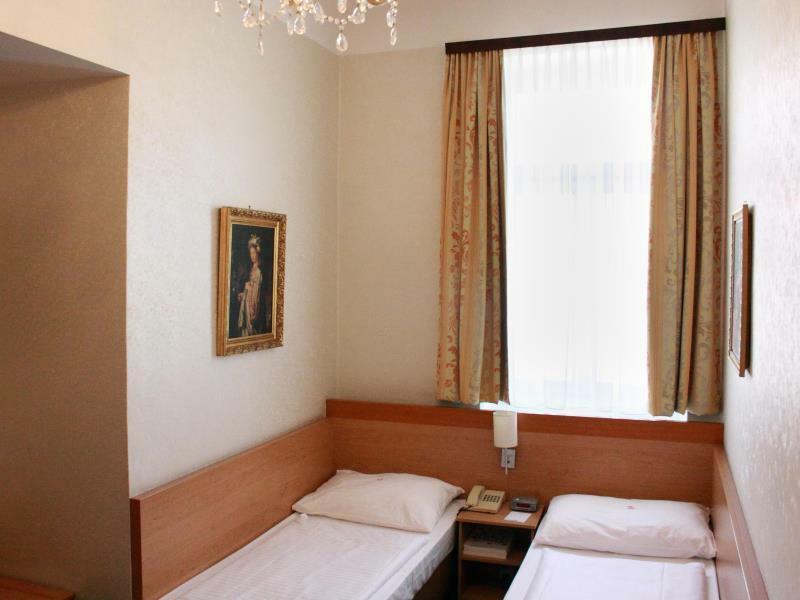 Set 20 kilometers away from the airport and centrally located 1.5 kilometers from the theatre and museum district, this affordable 75 room property features guestrooms decorated in light tones with pastel fabrics, light wood furnishings and white bedding. All rooms have cable television, direct-dial phones, and bathrooms with handheld showers. The bar serves light snacks and a range of drinks, and is noted for its weekend live entertainment. Guests can make use of the sauna and free use of the hotel safe for your valuables. There is a restaurant on site and a McDonald’s directly across the street. "Will definitely book again here should I get the chance!" I had a great time at Boutique Donauwalzer. 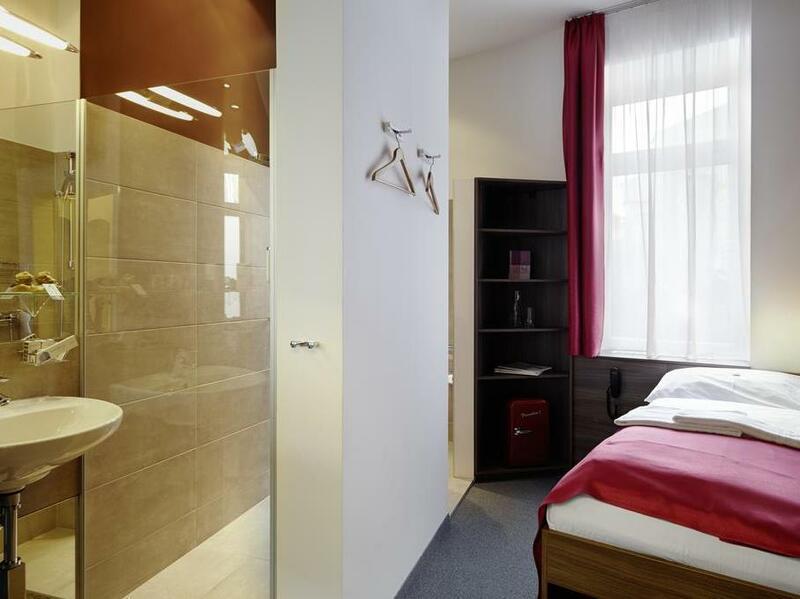 Hotel was not hard to find as it’s just 3 mins away from the Train Station and also 5 steps away from the Tram Station. I also didn’t feel that the economy room is any different from any 3-5 stars hotel, because it was very clean and comfy. Will definitely book again here should I get the chance! Highly recommended. Great location. Very close to two metro stations, about 3-5 minutes by walking. Excellent staff. The room is spacious and clean. The WiFi is OK. People can leave their luggage after checking out. But basically, everyone can access the space where luggage is kept, which is a bit unsafe. A little further out than I wanted to be from the city, but there is a tram station just outside, the room had recently been upgraded and was clean, had trouble getting WiFi in my room and their were no curtains on the huge windows in the shower so I felt like the very close neighbors could see me showering if they looked out their windows. Overall, good experience. This is one of the best hotels I have ever stayed in....Don't be put off by your first impressions as this is hotel is definitely not like a chain hotel & its location may be a little outside the city .....but this is more than compensated by the extremely helpful staff of this family run hotel & their attention to detail from the 'Bose'sound system in your room to the complimentary mobile phone with unlimited calls to use during your stay One final point is the wonderful breakfast .... Choose this hotel as you will not be disappointed! Astonishing and Extraordinary. A hotel rarely found these days but much sought. Traditional and family run with great charm, attention to the finer details and personal service. Don’t search any further you won’t find better. A best hotel with nice staff, the girl at front desk ( Narida ) is very nice, I arrived at 12nn but can still check in even earlier two hours, helpful at all. Location and price is wonderful, really a good place to stay in short or long. Very nice hotel, I got a room for a great price and there's nothing I can complain of. The room was nice and clean, staff helpful. Though the hotel isn't in the centre, public transport is very close (tram stop in front of hotel, subway within a few minutes walk). Definitely recommended, would visit again. The staff were all excellent and helpful. They even recommened a cafe down the road were the food was excellent. The special touch of the manager coming out to meet you individually and see that you had all you needed was so warm and inviting. The breakfast was fresh and plentiful with lots of choice. The live classical music at breakfast had me in tears it was so moving. It was not far from the city centre with transport nearby. The only down thing which was way out of the control on the hotel management was the all night disco across the street which was very noisy. 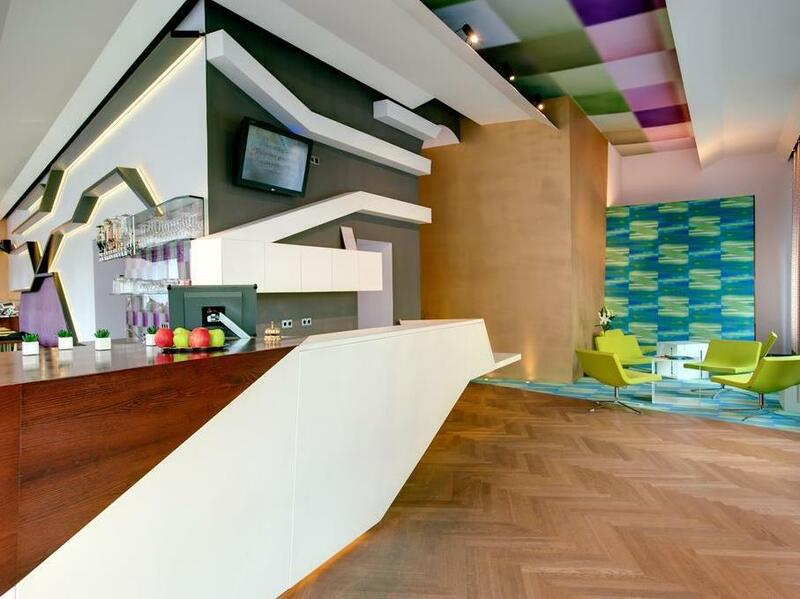 I liked this hotel a lot and will try to stay there next time I'm in Vienna. The location is very good: outside of the city centre (in Josefstadt) but very conveniently located next to the U6 line, which would regularly transport me to Staubentor in under 20 minutes. The Parliament and Museums are within half an hour of walking, if you choose to go on foot, but there's also a tram stop right at the hotel door (or you can walk southwards for other trams in the direction of the centre). There is a petrol station nearby, which is a saver on Sundays, when the shops are closed. 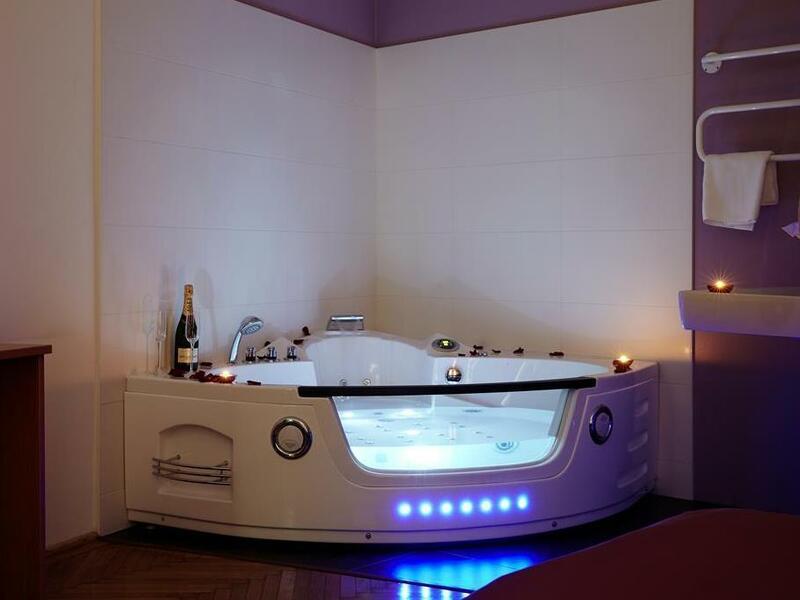 They even have a sauna and jacuzzi, so one can relax after a busy day. I found the personnel very charming and helpful. The atmosphere was very welcoming with staff willing to help with any query. The room was very clean and comfortable and it was easy to reach all the sites by jumping on a tram or train for a short ride. The shower was excellent, although there was no curtain or blind across the window and I could see right outside (so presumably people could also see inside!). 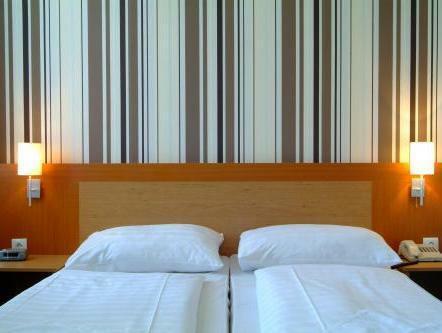 Overall, I highly recommend this hotel for it's cleanliness, modern and creative design, and friendly staff. Remember that Ottakringer is a very long street and this hotel is not located anywhere near the Ottakringer station! After frentic searching, I arrived at the hotel only to be told that the room had been leaking so I had to transfer to another hotel. The service and attitude are great, but actually I think they should've paid the taxi which took me to the new hotel rather than I. The location, the staff and the room we had were all very good. From the moment we arrived, we were looked after superbly by the staff. I thoroughly recommend this hotel to anyone visiting Vienna. The facility was very clean and the breakfast was delicious. However upon arrival at the Hotel the staff offered no knowledge of where we could park and literally shrugged their shoulders at us which resulted in our car getting towed. I contacted the hotel to see if they could compensate us and they said it wasn't their problem, which it was because staff should have knowledge where guests could park their vehicles especially since German is not our naive language. Only stayed two nights and found the hotel and staff excellent. The room was very small but tastefully renovated and excellent value for money. It was unfortunate that the first cab i caught from Stephen Plaza took the long way round and probably cost me triple than normal and it was €45 euro to get to the airport when i left otherwise it was one tram and two trains and i couldnt handle my luggage or the time that would take. If you can organise yourself better than i did, i would certainly recommend this hotel. The tram into the city is right outside the door and i found all the staff very friendly and hepful. I didnt eat there but it smelled deicious and other guests seemed to enjoy. Hotel staff friendly and helpful. Nicely decorated, quirky hotel. However you could hear other guests through the walls and breakfast not included. At 15 euros each, thought this expensive. Also extras in room, water, biscuits etc quite pricey, if you chose to have them. Right on main road, so window had to be closed to stop the noise.